The Vancouver South African Film Festival (“VSAFF”), now in its 9th year, is proud to present features and documentaries that explore the culture, history and politics of South Africa – films that inspire, inform, and entertain. Individual Tickets: $15 Regular Screenings / $12 Students. Filmmaker and human rights lawyer Shameela Seedat tracks Thuli Madonsela, South Africa’s first female Public Protector (National Ombudsperson), as she builds her case against the country’s President, Jacob Zuma. Despite allegations of spying, humiliation in parliament and death threats, Madonsela forces Zuma to return public money unlawfully spent on the construction of his private home. 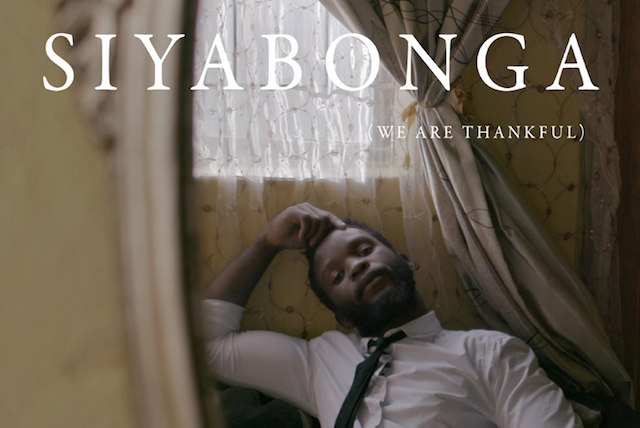 Like a South African version of Roma, Siyabonga guides us at a leisurely pace through the real life adventures of aspiring actor Siyabonga Majola. One day he hears the surprising news that a movie is to be made in a nearby town and makes it his mission to be a part of the film. Based on real events re-enacted by those who lived through them, Siyabonga is at times funny, at times bittersweet, at times painful, but always thoughtful. From acclaimed Durban artist Janet Solomon, this fascinating fusion of documentary and video art tells of the impact on local marine life by seismic exploration off the coast of KwaZulu-Natal. Nommer 37 is a taut thriller inspired by Alfred Hitchcock’s film-noir classic “Rear Window”. Award-winning South African writer-director Nosipho Dumisa makes her feature debut and ratchets up the tension until it crackles. The devastating news of a terminal illness brings a family together for the first time in many years. Dealing with imminent death, a father, mother and son must find the courage to forgive the terrible mistakes of the past. Set across three decades, ‘n Man Soos My Pa (A Man Like My Father) tells a story of broken family relationships, the struggles of forgiveness, and the emotional healing found in unconditional love. Based on true events, Ellen describes the troubled relationship between a mother and her son Abie, whose problems with drugs are the centre of the story. It’s a relationship that will eventually drive Ellen beyond the edge and lead to Abie’s murder. Never been on a safari in South Africa? Never felt the adrenaline rush of excitement and anxiety as you come face to face with a rhino? Never tested yourself in a dramatically challenging environment? Here’s your chance to watch five young Zulu women on a life-changing experience in the iMfolozi wilderness, the oldest game park on the African continent. Set in 1985 against a backdrop of apartheid, religion, and war, Kanarie follows a teen boy, Johan Niemand, who has always been bullied in his small town for his flair for British new wave music and love of Boy George. I will draw one winner at random from all entries at 12:00pm on Friday, March 22, 2019. Prize includes weekend festival passes, does not include opening night gala tickets. Follow the VSAFF on Twitter and Facebook for more information. VSAFF is a non-profit event organized entirely by volunteers. All proceeds from the festival go to go to support Education without Borders to provide educational opportunities for disadvantaged and at-risk children through initiatives in South Africa and Canada. UPDATE: The winner is Greg! Closest I have been to South Africa. Would love to check out the Vancouver South African Film Festival!